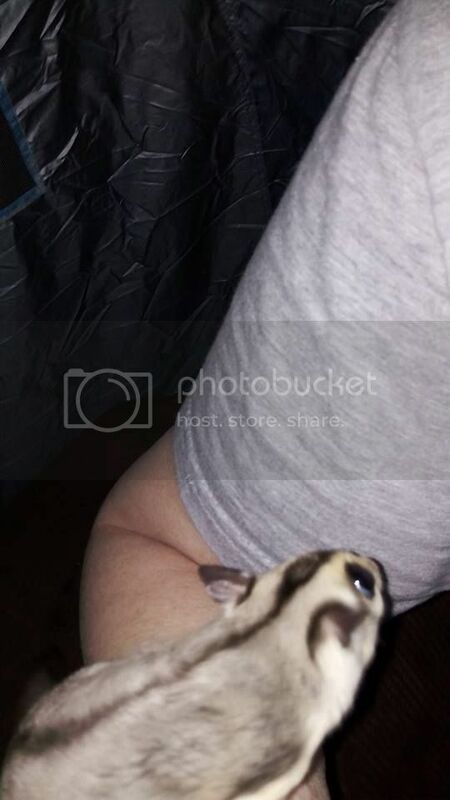 Hey so I'm new to Glider Central, but I've had two female gliders for almost a year now, Chamise and Queso. They've defiantly had their little adventures since they like to scare the crap out of me, but something actually serious happened today. 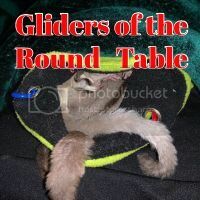 I usually let my gliders run around my bedroom at night because I hate to keep them in their cage all the time, don't get me wrong it's pretty spacious but I can tell that they get bored and aren't as active or playful if they stay inside. Anyway, I have this tall glass water bottle that I lost the cap for, but I subconsciously figured the mouth of the bottle was too narrow for them to squeeze through. I was wrong, I woke up to Queso scraping her claws against the glass struggling to get out. Thankfully there wasn't enough water to drown her, just enough to make her really cold and stressed. I've read about gliders dying of pneumonia, or even stress itself. I got her warm and dry, and in soon enough she was snuggling Chamise while eating a yogurt drop before drifting off to sleep. I was totally panicking earlier so I'm wondering what the experienced owners here know about that? I'm not sure how long she was in the bottle because it woke me up. Wow, that is certainly a new one for me. Have never heard of this happening before, and you are very lucky there was a happy ending. You managed to get her dry and warm so hopefully no damage was done, and she kept her head above the water without swallowing much. Keep an eye on her for any out of the ordinary behavior. If it would make you feel better, you can always schedule a well check with your vet and explain what happened. I am defiantly lucky, she seems to be doing okay tonight. I'll keep watching her, she does seem a little bit weary because of the stress, but I do think Chamise was able to calm her down. Thank you for your input! This glider has also eaten her fair share of oil paints, and gone missing for a day and a night, so she seems to be rather keen on get into trouble! So glad this had a happy ending! sounds like quite the adventurer!